Compass & Coffee Spoons: Frozen Delights! I had a moment a few weeks ago where I decided I was no longer going to buy one of the staples of my kitchen: No Sugar Added Fudgsicles. 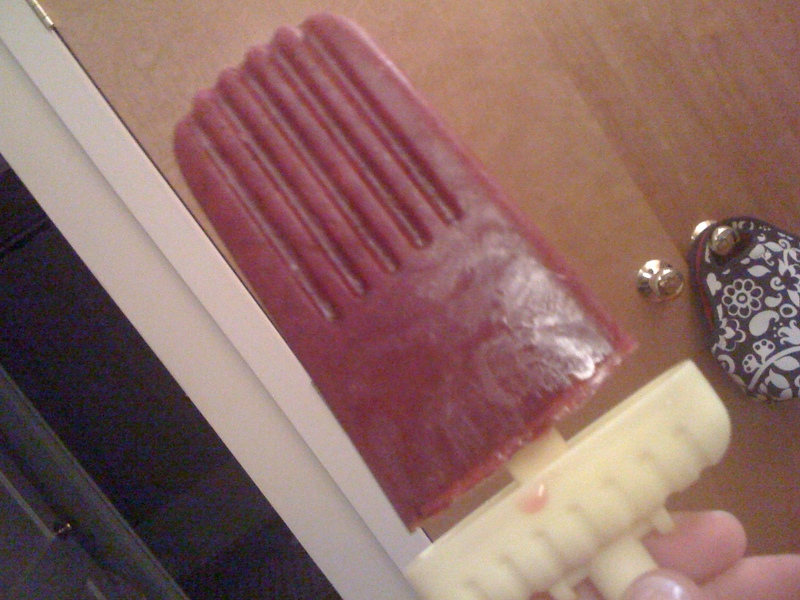 It just grossed me out thinking that I was eating what essentially amounted to a frozen chemical stick. 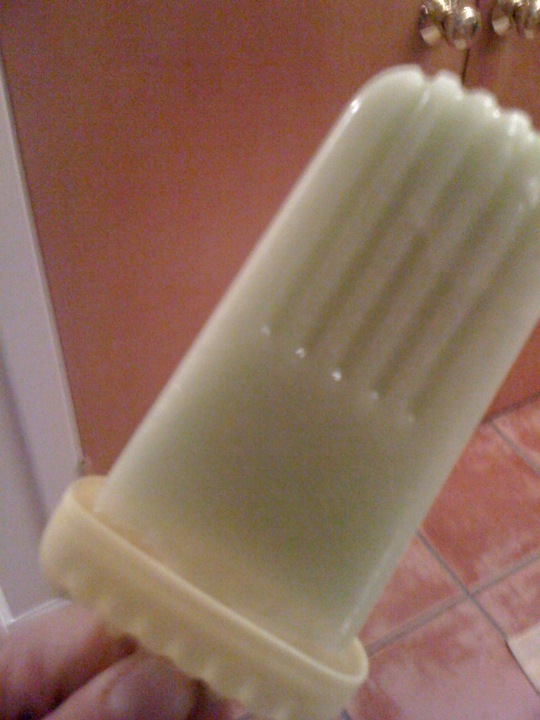 So, I decided to fulfill my sweet cool cravings, I was going to buy popsicle molds and make my own. So I did. I believe these were my personal favorites...Blueberry Limoncello. I would give you the recipe, but I didn't have one. Basically, blueberries, limoncello, freeze! I also made delightful Fudge Pops from a Taste of Home recipe that are now on my "do not make" list. Why? Not because they were gross. Quite the opposite--they were delish, but way too caloric and delicious to make regularly! You can find that recipe here. I do highly advocate making frozen treats...they are generally healthier than what you'd get in the store and you can come up with some cleverly delicious recipes on the fly. I'm excited to try additional ones! And, apparently, they're the new trend--popping up in bars in cities, including mine! Witness this feature from the Washington Post. I'd like to point out that that article came out AFTER I started making my pops. What can I say? I'm a trendsetter! :) Here is the accompanying video about fancy popsicles from the Dairy Godmother in Alexandria (one of my favorite places down there!). The blueberry limoncello one sounds delicious! Is it very small amounts of limoncello, or how does it freeze? Anne, I wish I could give you exact amounts, but I kind of just threw a splash or so in...it does freeze, but it's nice because it isn't as hard as something that is just fruit. And the lemon really brings out the blueberry flavor, too! Yummmmm.. Looks mouth watering. Perfect for the summer. Cant wait to give this a try.http://www.youtube.com/watch?v=vrSTQDVc0tc Could you give the right amount please.Limoncello popsicles gonna be on my list of "to-do-things" soon. Great work. Keep posting.